Mary Egan was one of Ballarat's best-loved and respected educators. Commencing her teaching career as a student-teacher at Bacchus Marsh, she undertook teacher training at Melbourne Teachers' College (1941-1942). She taught in the Mildura district before returning to Ballarat in 1953, teaching infant grades at Humffray Street Primary School. Mary Egan joined the Ballarat Teachers' College (BTC) staff in 1958, starting a 23 year career specialising in language curriculum (ie children's literacy and literature). She was still on staff when all teachers colleges became State Colleges during the early 1970s. 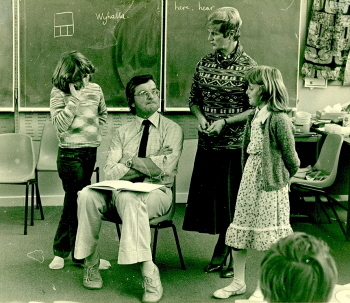 Along with other members of the State College Victoria, Ballarat (SCVB) staff, Mary's lecturing career continued when SCVB merged with the tertiary section of SMB at Mt Helen, later known as the Ballarat College of Advanced Education (BCAE). Known throughout the state for her work in teacher-training, particularly for the teaching of reading and language, Mary Egan was inevitably seen as a friend, as well as a colleague, by the hundreds of teachers with whom she came into contact. During her 23 years spent in teacher-training at Ballarat Mary Egan became a close friend to thousands of young student-teachers who passed through the College. She took a deep personal interest in their well-being, finding accommodation or board for them, accompanying them on College trips, and helping with a variety of personal problems. 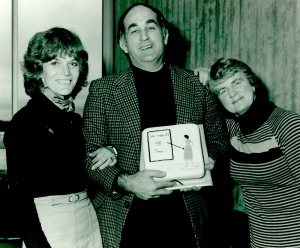 Mary Egan was a member of a pioneering family in the Enfield district. She was also known for her association with the Little Hard Hills Hotel, which was run by her sister, Julie. The famous district hotel was rebuilt in 1967 following the destruction by fire of the original building. A collection of specialist teaching books in the E.J. Barker Library is named as a memorial to Mary Egan, recognising the level of respect she had obtained within the educational community. A photo displayed with the collection states: 'This Curriculum Laboratory, which contains many books and teaching materials left to the college in her will, is dedicated in memory of Mary Egan, a wonderful teacher, lecturer and adviser.' A framed photograph of Mary Egan is still located in the School of Education Staff Room at the Mt Helen Campus.